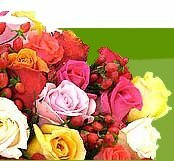 TheJapanFlorist.com knows the importance of your private details shared with it. So, it keeps a check on safeguarding your privacy online. We are very much concerned about the personally recognizable information you share with us and so we take all the necessary steps to protect it. At the beginning when a Third Party Merchant Moneybookers / Paypal, which is Verisign Secured, processes your Credit Card, no details regarding your Credit Card is received by us. Furthermore, as you place orders, we only collect your name, e-mail address, mailing address, Credit Card number and its expiration date which helps us to process and complete your order. These procedures help us to serve you as you have ordered our products and the given details will not be, under any situation, passed on for commercial need. Only, as when we believe in good faith, the law requires it, and then only will your personally identifiable details be uncovered by us, but not for any other purpose, until we have your permission to do so. Though, we keep an average of the total number of visitors to each of the sites, to improve our website, the personally traceable details are not acquired in this method. To make our visitor�s online experience better, we only use cookie technology (whereby our servers deposit special codes on a visitor's computer) to track non-personal details such as the type of browser, operating system, and domain names. 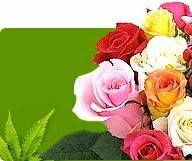 How is customer details kept secured by TheJapanFlorist.com? Your order is placed via a safe server. Before they are even sent to us, all the information provided by you including your Credit Card number, is encrypted by the secure server software (SSL). So we are not able to read the information as it travels across the internet. Moreover unauthorized access to any of the customer data we acquire is hindered by our system. Will TheJapanFlorist.com disclose the collected information to outside parties? We refund you the total amount of the product which has run out of stock or was mishandled and thereby damaged by our delivery staff. Once the order is confirmed and submitted by the customer, we do not cancel it. Products that have been damaged due to mishandling by our delivery staffs will only be replaced exchanged or refunded. The goods that are sold in healthy condition are non-replaceable, non-exchangeable or non-refundable.